Even projection display hardware needs to be evaluated through the lens of its impact on student learning. Educators know that interactive collaboration impacts the classroom environment by shifting the mode of teaching and increasing student engagement. 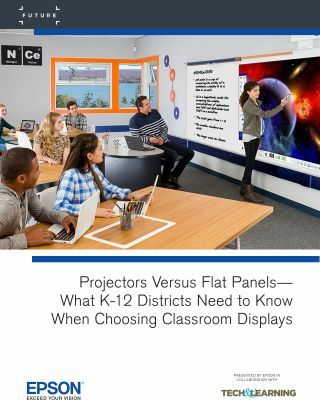 What are the key factors that districts should be aware of when choosing new classroom display options?